The Parliament of Azerbaijan, Milli Majlis, proposed Insurance Code to relevant state authorities. "Barmek-Azerbaijan Electric network" Limited Liability Company's two more senior officials were detained, Main Prosecutor's Office informs. The Azerbaijan International Mining Operations Company will end the prospecting of the gold deposits in Gadabay region by the end of August. On Friday Kazakhstan President Nursultan Nazarbayev has received Azerbaijan Leader Ilham Aliyev. The International Finance Corporation, the private sector arm of the World Bank Group, has signed an agreement to purchase up to a 17.5 percent stake in AGBank and to extend a $1 million trade finance line. The Azerbaijan International Mining Operations Company will sue several foreign companies for exploiting gold deposits in Azerbaijan's occupied territories. It will also sue Armenia for authorizing the exploitation. Parliament of Azerbaijan, Milli Majlis, proposed Insurance Code to relevant state authorities. Auerbach Grayson & Company, a New York-based brokerage firm that specializes in international securities trading for U.S. institutional investors, recently announced that Bank Standard has agreed to become its exclusive local broker partner in Azerbaijan. Turkey is preparing an elaborate ceremony to inaugurate the strategic Baku-Tbilisi-Ceyhan (BTC) oil pipeline on July 13, the event's organisers said Thursday. The delegation of Azerenergy joint-stock company led by its vice-president Marlen Asgarov will be visiting People's Republic of China on June 16-24 to become familiar with the state-of-the-art technologies applied in electric power stations of Beijing, Urumqi and other cities of China. Azercell, the dominant cellco in Azerbaijan, has revealed that it has installed 61 base stations in rural areas in the first five months of 2006. Population coverage of Azercell's network stands at over 95%. The Azerbaijan-Turkey business forum will be held June 22 in Baku, Azerbaijan National Confederation of Entrepreneurs' Organizations announced. Economically the Black Sea region is the fastest growing region in the world after East Asia and has a lot of prospects lying ahead: this was the main message of the June 12 business conference in Baku. CableTEL, the Bulgarian cable TV, Internet and voice company, sad it will deploy a cable TV network in Azerbaijan. Azerbaijan's State Electricity Company 'AzerEnergy' quoting informed sources in a bulletin said here Iran is Azerbaijan's partner in the electricity sector. 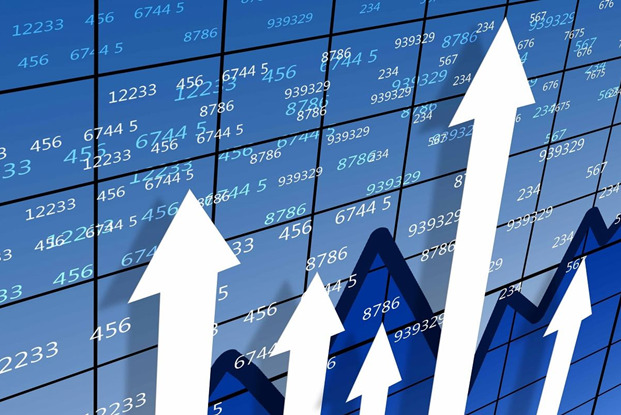 BSE: "The rate of corporate sector in Azeri stock market will come to 15% by this year"
The volume of transactions in stock market of Azerbaijan reached AZN517,5 million last year increasing more than 5 times. Marketing and Economic Transactions Department (METD) of State Oil Company of the Azerbaijan Republic (SOCAR) began the arrangements for the adaptation of ISO 9001:200 international standards in the Department. The final stage of the April 1 to May 31 winning campaign, a lottery, run by CJSC Bank Standard will be finished on Thursday. A high debit 73rd well in Guneshli reservoir platform 19 within the sector of Azerbaijan in the Caspian Sea was given to 28 May Oil and Gas Operation Unit (OGPU) of State Oil Company of Azerbaijan (SOCAR). Binagadi Oil Operation Company produced 2 635 thousand cubic meters natural gas in Binagadi land block in Azerbaijan during January-May this year. "Project Agreement on Kazakhstan's joining to Baku-Ceyhan Pipeline is ready and it is under the consideration of the President of Azerbaijan," Natig Aliyev, Industry and Energetics Minister of Azerbaijan, has told reporters about. Joint-Stock Commercial Bank (JSCB) Respublika granted 7 mortgages after the process of mortgaging financed by state budget started in Azerbaijan. AZAL holds talks aimed at purchasing six French ATER 42-500 and ATER 72-500 type passenger aircrafts. Hussein Arabul: "We have given 258,435-page-answer to questions on Barmek's activity"
The lawyers for the Barmek-Azerbaijan Electricity Distribution LLC are having talks with the government on further activity of the company. The United States plans to make a substantial contribution to the Black Sea Trust, a new multimillion-dollar fund promoting democracy and cooperation among nine countries in southeast Europe, President Bush's deputy national security adviser says. Elman Rustamov, President of the National Bank of Azerbaijan met Roman Gotsiridze, President of the National Bank of Georgia, in Baku. President of the State Oil Company of Azerbaijan Republic (SOCAR) Rovnaq Abdullayev met June 13 with delegation of the energy and mineral resources division of ITOCHU Corporation of Japan led by Yoichi Kobayashi. President of the State Oil Company of Azerbaijan (SOCAR) Rovnaq Abdullayev met June 13 with David Lesar, Chairman, President, and Chief Executive Officer of Halliburton Energy Services. Proposals on privileged mortgaging for privileged categories of the population are still discussed by the Government of Azerbaijan. Baku Stock Exchange (BSE) hosted the placement of T-Bills of the Ministry of Finance with the state registration number 10201413S. Only 600 000 hectares area of 1 million hectares timber resources of Azerbaijan covered with forests. Pursuant to the results of the trading sessions held in the currency section of the Baku Interbank Currency Exchange (BICEX) today, USD/AZN average weighted rate was AZN 0,8960/$1. State Committee of Azerbaijan for Land and Cartography: "Area along Baku-Ceyhan Pipeline is not compensated"
State Committee of Azerbaijan for Land and Cartography (SCLC) rejects the sayings that citizens are not compensated for their strip lands along Baku-Ceyhan Main Export Pipeline (BTC). Garib Mammadov, the Head of the Committee, has told reporters about. Garib Mammadov: "Executive authorities and municipalities sell lands illegally"
About 1800 illegal land areas sales were detected last year. 350 of them were fined and 97 were given to law enforcement bodies to deal with. On June 13, President of Azerbaijan Ilham Aliyev received at the Presidential Palace Chairman, President And Chief Executive Officer of the company Halliburton David Lesar. President Ilham Aliyev issued an executive order on conferring "Shohrat" order on chief managing-director of BTC Company Michael Townsend. The program of the official ceremony of inauguration of the Baku-Tbilisi-Ceyhan Main Export Pipeline has been made public. Caucasus Banking & Finance Conference has today been launched in Baku. The Micro Finance Bank of Azerbaijan (MFBA) today issued its first supplier finance loan to the local Azeri company Azmetco. This is the first step in an important new initiative, which will improve access to finance for Azerbaijan's local oil and gas industry supplier and service enterprises. Shahmar Movzumov, Executive Director of the State Oil Fund of the Republic of Azerbaijan, met June 12 with the members of Non-Governmental Organizations Coalition for Increasing Transparency in the Extractive Industries in Azerbaijan. Discussions on additional gas supply to Georgia from Baku-Tbilisi-Arzurum Pipeline to be held in Tbilisi at experts' level June 12-14 were cancelled. OJSC Azerenergy starts the construction of a new 220KV substation in Salyan. Being considered for energy provision improvement in Salyan and Bilasuvar, the station is the main object of the electro energy cooperation between Azerbaijan and Iran. Shirvan Oil Operation Company produced 7,314 million cubic meters natural gas, 34,2% more than the figure for the same period of a previous year, in Kurovdag during January-May this year. International Investment Forum on "Current Investment Opportunities in Developing Regions" is organized in Zurich, Switzerland, on 12-13 June. Dragosh Semiyano, vice-chairman of Romania's Commerce and Industry Chamber will visit Azerbaijan. Press-conference devoted to I Caucasus Banking and Finance Expo-Conference to be held June 13-14 in Baku. Azerbaijan will meet international standards on the ratio of voluntary and mandatory audit services in next few years. Darios Farsimadam, International Monetary Fund (IMF) Technical Assistance Project Councilor for State Debts Management in Central Asia and Azerbaijan, has today reached in Baku. Joint-Stock Commercial Bank "Bank of Azerbaijan" will increase nominal capital twice to reach AZN20 million by late year. 4 big enterprises in Ganja are expected to be open for privatization, which are Ganja Carpet-Making Factory, Engineering Plant, Timber Works and Ganja Industry and Building Materials Factory. Assets of CJSC Bank Standard reached AZN142 855 (USD158 816) increasing by 9% in May this year. It is 44% more than the similar figure for end 2005. Gas delivery to Lenkeran might be cut off, Lenkeran Gas Exploitation Office chief engineer Idris Hajiyev stated. Today agreements on opening around $11 credit lines to four banks in Azerbaijan were signed by Black Sea Trade and Development Bank (BSTDB). On June 12 President Ilham Aliyev received the delegation led by President of the Black Sea Trade and Development Bank (BSTDB) Hairettin Kaplan. Kazakhstan Government works at the final stage of the draft Treaty on Kazakhstan's accession to Baku-Tbilisi-Ceyhan pipeline system. Black Sea Business Forum has today started following XIII Session of Black Sea Trade and Development Bank (BSTDB) Directorate June 10-11. Frunze Co. Ukraine is aimed at bringing new equipment – AK-80 able to lift 80 tons weight for repairs in well, to Azerbaijan. The America-Azerbaijan Trade Chamber (AATC) intends to start a campaign of showing domestic products in US market soon. Bateman Co. Israel is aimed at opening a branch in Azerbaijan. Azerbaijan National Bank (ANB) announced tender for provision of Azerbaijan Mortgage Fund (AMF) with office facilities and equipment. The Islamic Development Bank (IDB) will hold an investment conference in Baku in November, according to press service of the Ministry of Economic Development of Azerbaijan. The 8th annual meeting of the Board of Directors of the Black Sea Trade and Development Bank (BSTDB) took place in Baku on June 11. Minister of Communication and Information Technologies of Azerbaijan Ali Abbasov met his Russian counterpart Leonid Reyman to discuss the provisions of the intergovernmental agreement, which is aimed at enhancing the bilateral relations between the two countries in the field of information and communication technologies. Turkish Energy Minister: "Blue Stream gas pipeline to reach Ceyhan"
Turkey's Energy Minister Hilmi Guler stated that his country has turned into an important mediator between the producers and users of energy. Fire broke out in Pepsi Cola factory located in Khirdalan on June 10. Accountants believe a proposed agreement between international tax authorities outlined in the chancellor's Finance Bill will allow Azerbaijani tax evaders to be tried in UK courts. Georgia's deputy energy minister said Friday the south Caucasus country planned to raise crude output to 90,400 bbl/d from current 1,000-2,000 bbl/d by 2020. The Baku-Tbilisi-Ceyhan (BTC) pipeline today achieved a historic milestone with the delivery of its first cargo of crude oil to world markets. 38 (61,3%) out of 62 questions addressed to LLC Barmek Azerbaijan Energy Network in written form from June, 5 to June, 9, by the Inspection Commission formed at the initiative of Economic Development Ministry were responded by Barmek. Azersun Holding Group of Companies represents Azerbaijan at VII international Food Industry Exhibition in Tbilisi, Georgia. As a result of talks in Baku on expansion of energy cooperation between Azerbaijan and Lithuania, sides were agreed on the importation of $1 million oil products to Lithuania yet. Next round of talks between OJSC Azerenergy and KFW Bank of Germany was held in Baku. The German side was represented by Claudia Loy, KFW Energetics and Ecology Sector Director, and Peter Brinkman, Senior Manager in Energy Projects. Dubai's experience will be used to establish a free trade zone in Azerbaijan. Relevant documents have been submitted to the president, according to the Economic Development Minister Heydar Babayev. Lithuanian President Valdas Adamkus, continuing an official visit to Azerbaijan, has urged to develop business relations between the two countries more actively.